Gelatin, Rice Flour, Magnesium Stearate, Silicon Dioxide. 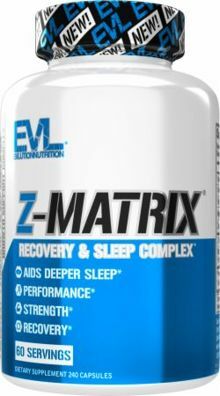 Sep 10, 2018 Win EVL’s Stacked Protein and Z-Matrix on PricePlow! Aug 24, 2018 EVL Z-Matrix – An (EVL) Genius Idea: ZMA with an L-Theanine Twist!